How do I work with a brand? How do I work with a blogger? For some TBEX attendees, those are two of the top questions they are looking to have answered in Toronto. 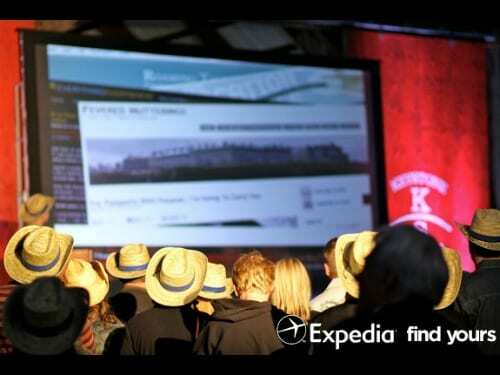 Sponsor Bio: The last year has continued to see Expedia expand its partnership with bloggers, even more so with today’s launch of Expedia’s first blog, the Expedia Viewfinder blog. In providing these tips, we’ve gone straight to the source – our Expedia Viewfinder bloggers – who shared these great ideas and recommendations on how brands and bloggers can work together. I think that the early on communication is very important because you might be talking to someone who has to report to another person and giving the best and complete information in the beginning helps you both out so that whoever gets to make the decision has the best information from the beginning. It all boils down to one thing, concentrate on building a reciprocal relationship that is a two way street, when you focus on building the relationship instead of just the deal you BOTH win!